You have to look disgusting! On Facebook today, my friend Kees posted a very applicable observation to my timeline..
Let me tell you that today I looked DISGUSTING! The kids and I went to town to get some groceries and we all went to the HB Studios Sports Centre to use their indoor, air conditioned track. My goal was to do 20 laps (4 km or 2.5 miles) walking then running, walking then running etc… Each lap is 200m so decided that 1/4 lap walking followed by 1/4 lap jogging and so on, would be a sensible way to introduce my body to REAL jogging on a track and not a treadmill. It was hard work, my face looked bright red, sweaty and disgusting and worse still there were lots of handsome men sitting around watching their sons play football with their beautiful, slender, non-sweaty wives.. BUT to truly conquer my obesity, I mustn’t care about things like that, I must be willing to do whatever it takes, in a sensible beneficial way, to become fitter and healthier. And if that involves wobbling and puffing and getting red faced and sweaty in front of beautiful people, then so be it. Roll on weigh in on Tuesday…. I KNOW I can get to my goal of 100lbs off by October 1st. And now I’m thinking do I dare aim for taking part in a 5k walk/run in September? It sounds too soon maybe? But hang on, if you put your mind to it, ANYTHING is possible! This entry was posted in Uncategorized and tagged couch to 5k. Bookmark the permalink. Go for it Carolyn. 5k isn’t that far if you put your mind to it, and you can do your walk/jog thing. Courage and Perseverance makes you an inspiration for us all. Keep telling us about it – that helps too! Go for it!!! I have to walk past a mirror when I leave the locker room at the gym I go to. Yesterday, I took one look at myself and wow, i looked like a hot mess. 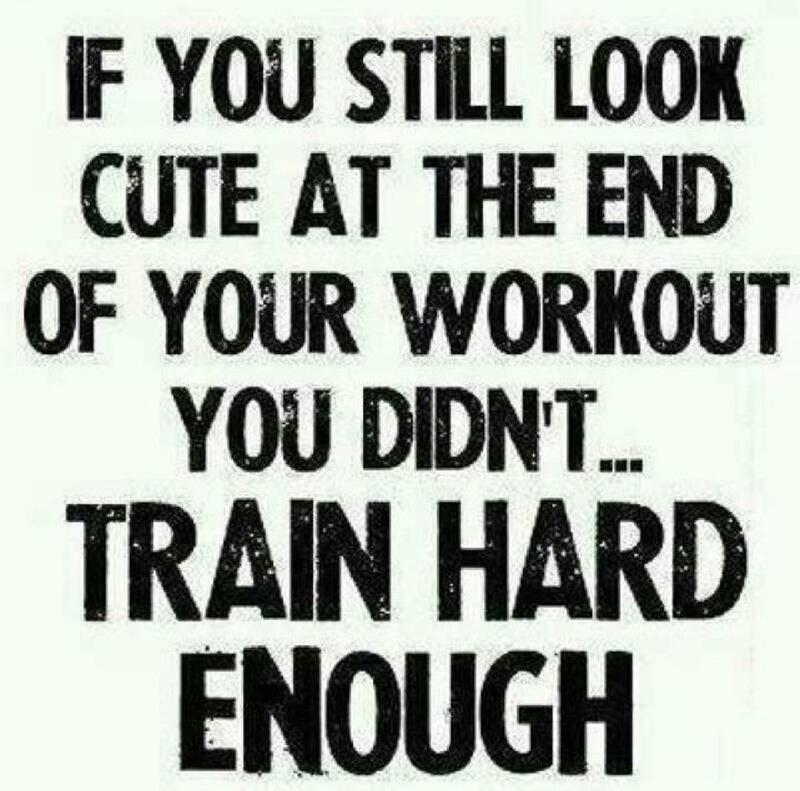 But you’re right, if you’re not sweaty and disgusting you didn’t work hard enough.